I am still processing all of the learning from yesterday's Library Journal & School Library Journal eBook summit - and looking forward to having the full archive posted soon. School Library Journal's summary is linked here. The Twitter feed (#ebooksummmit) was amazing - honestly, it was the first time that I had experienced reading the feed as someone was speaking and I was excited to see that attendees were actively sending summary tweets so that librarians who could not be at the webinar could still "hear" and learn from what was being said. Privatization of libraries??! Well, it's happening, according to a recent article in The New York Times by David Streitfeld about a library in Santa Clarita, CA that will be privately owned in the near future. Obviously, there is disbelief, frustration, and unrest about such decisions, actions, and even propositions. Public libraries have always been for and by the public, and funded by public monies, not by a private company. And, with the expansion of electronic equipment, digital formats, and enhanced communication formats & systems, costs are rising for all libraries. From where will the money come? How will monies be allocated with smaller or dwindling budgets? How does one prioritize the priorities with these limited budgets? These considerations are important for all parties to discuss, particularly librarians, in light of a statement by Sarah A. Tobias, the Director of the Sycamore, IL public library that libraries aren't "free." Her point is well taken, even if we don't provide cash, credit, or debit card to receive a library card. From the MacArthur Foundation: The new labs will help young people become makers and creators of content, rather than just consumers of it. ... With $4 million in funding MacArthur and IMLS will begin a planning process to launch a national competition in 2011 to create the new learning labs. The new learning labs will be spaces for experimentation that engage young people with both digital and traditional media to promote creativity, critical thinking, and hands-on learning. ... More information on "Re-imagining Learning in the 21st Century"
This interesting archive of tweets was done by Instructional Technology Specialist, #edchat archivist, Jerry Swiatek. Veteran science teacher Anthony Cody works with a team of experienced science teacher-coaches who support the many novice teachers in his school district. He is a National Board-certified teacher and an active member of the Teacher Leaders Network. He is passionate about education reform and teaching for change and deep learning. Cody writes that NBC's Education Nation was promoted with a great deal of fanfare, with the event promising to inspire a rich dialogue about education reform. Instead, he found that his post's to the official Facebook had been blocked. It is his opinion that this fits into a bigger picture and that they do not actually wish to enter into a genuine dialogue about education reform. Listening in, but not weighing is frustrating many educators who blog about education. The issue exposed by Cody is one of credibility: The teachers were pro- Dept. of Education, parental involvement was blocked and they featured unbalanced panels. Read the full article at Teacher Magazine. 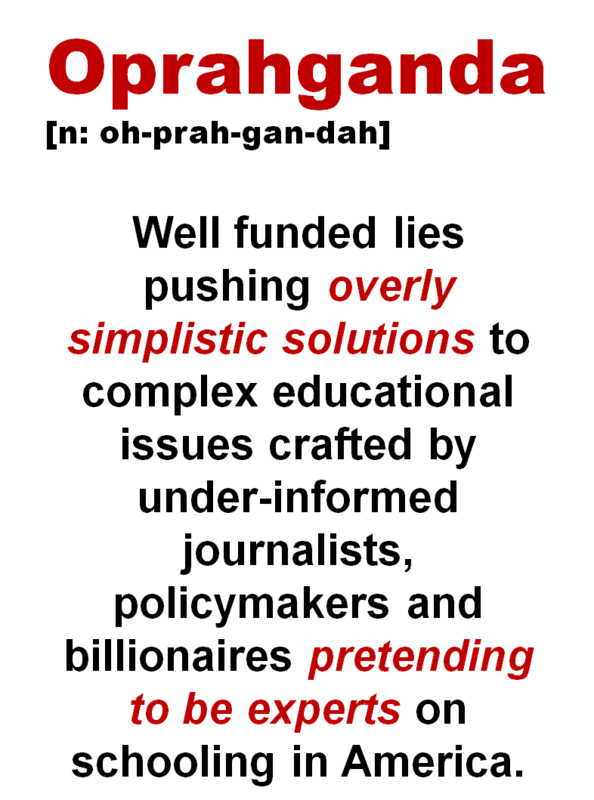 According to Daniel Pink, "Flip-thinking" - is the new buzz word sweeping the US. Colorado teacher Karl Fisch has flipped teaching on its head. Fisch has rearranged the order of his lesson plans. First he records and uploads his lectures to YouTube for his students to watch at home at night. (lecture at home first! )Then gets them to apply the concepts in class(homework in school) as he touches base with learners to help them with their in-class work. What about students with no Internet access at home? I guess it's off to the library after school for those kids! 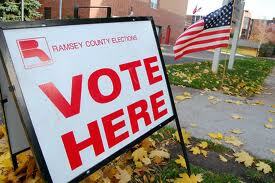 Thanks to Judy Gressel and Deborah Lazar for this great resource on Politics: Elections 2010! We will continue to add resources and value your feedback and suggestions! Rob Reynolds' long-ish Prezi on "The Past, Present, and Future of Higher Education Textbook Publishing"
Sarah Houghton-Jan's (Librarian in Black blog) reflection on The Future of Libraries 2010: The Consumer and Library E-book Markets (featuring speakers Paul Sims, Ann Awakuni, & Henry Bankhead) held this week and sponsored by San Francisco Public library. Find a great resource this week? Please post it to the comments section or email one of us. Support for the new Gale In-context databases! These could be useful for our students and our teachers; links can easily be added to a pathfinder. What would happen if each person on twitter would mention his or her favorite library there? What a great promotion of libraries this would be!! October 1, 2010 has been declared the follow a library on twitter day. Well respected names from the international library community, such as Michael Stephens and David Lee King have ackowledged their participation in promoting the special event. Participating is very simple: tweet on October 1st what your favorite twittering library (or libraries) is (or are). Use in your tweet the hashtag (or keyword) #followalibrary. OK Twitter users: follow newtrierlibrary on Twitter! If that title caught your attention, consider registering for the FREE webinar sponsored by NCTE and ISTE. Yes, it's called "Dancing the Technology Tango: English Teachers, Tech Coordinators and Students Learning Together". TIME: Wed. Sept. 22 at 5:00pm CDT. National Council of Teachers of English (NCTE) website offers this description: "Join the International Society for Technology in Education (ISTE) and NCTE on Wednesday, September 22, 2010, for a free Web Seminar designed for instructional leaders, technology coordinators, staff developers, curriculum coordinators, literacy coaches, English teachers, and others who are working to develop rich and authentic 21st century learning experiences and curricula. [It continues] During this webinar, we will explore models, resources, and tools for collaborative instructional planning between those who know the curriculum and those who understand the unique capacities of digital technologies. To that end, we will tour the US Department of Education’s School 2.0 etoolkit website with over 700 free resources to help educators with technology integration in the classroom. ... Our goal will be to anchor the discussion in real examples of collaboration that have fostered authentic and rich English language arts pedagogies with digital media." Presenters are Sara Kajder, NCTE member and author, and Chris O’Neal, ISTE faculty. Their bios appear on the NCTE website -- the webinar is free, but registration -- via that site -- is required. According to CrunchBase "Edistorm is a social brainstorming application empowering friends and coworkers to rapidly brainstorm and make better decisions." "Edistorm allows you to organize your ideas in a real time interactive wall. Each sticky note can have its own color and the users decide what the arrangement means to them.This freeform method of collaboration will feel familiar to anyone that has thrown stickies on their walls." Edistorm is always free for anyone adding ideas to a brainstorming. Invite anyone. Creating public or solo brainstorms is, while creating private invite only storms requires a subscription. All accounts have a no credit card required 30 day free trial. You can even follow them on Twitter (edistorm)to keep updated as the product develops. • pedagogic reading (studying a physics curriculum). There is also an Interactive on the History of Technology in the Classroom. Makes one wonder: have we gone from one handheld device (slate/horn book) to another (Kindle/iPad/netbook)? Join the discussion at The New York Times. College applications are no longer all about essay questions and SAT scores. Posting video applications to YouTube to try and capture attention seems like a risky way to go, especially if it's your top college choice. This didn't stop these ambitious high school seniors. Bringing Text Books to Life. . .
the iPad a game changer in electronic text books. Find out why at NPR. I am developing a presentation on web 2.0 tools and using a personal learning network to learn how others implement those tools. This is a good slideshare presentation which focuses on helping teachers get started. Based on a recent email: Contributing to the national and state dialogues regarding education are several films that will have screenings in our area. This documentary will be shown tonight, September 16, from 7 – 9 p.m. at the McCormick Tribune Center at Northwestern University. Prefer to watch online? There's a short (11 minute), medium and full length version. Told from the perspectives of students, parents, teachers & business leaders, the film exposes striking differences between the resources and expectations that foster learning in suburban and urban high schools. This film was produced by United We Learn, an organization founded after Rev. Meeks brought several hundred students and parents from Chicago schools to New Trier in an effort to highlight the inequity in school funding in Illinois. The Education They Deserve includes interviews with several New Trier students and two current and former teachers. From the director of An Inconvenient Truth, David Guggenheim, Waiting for Superman (trailer here) offers a critical view of the state of American schools through interviews with students, parents, and education reformers from around the nation. The film opens in select theatres on September 24. On Sept. 30th from 7 - 9 p.m. the Glencoe PTO will be screening the documentary Race to Nowhere at Misner Auditorium at Central School. The film (trailer here) examines the effect that the pressure to achieve has on the lives of several students. The Future of Education's Steve Hargadon will be interviewing the director, Vicki Abeles on November 2nd. We should be experiment with these apps. I am curious about others' experience with reading on a Kindle vs. and iPad. Do you agree with Mossberg that the iPad is a "very good e-reader" or are you someone who prefers dedicated e-reader hardware like a Kindle or Nook? I attended a webinar today presented by Bobby Hobgood, Director of Research and Development in Online Curriculum and Instruction for Learn NC, a program of the University of North Carolina at Chapel Hill School of Education. Most of the discussion focused on the use of web-based texts for differentiation with 21st century learners. Take a few minutes and check out the site, in particular the two textbooks they shared with us: North Carolina History (contains primary sources gathered through a joint effort of 75 partners) and Critical Languages (some Mandarin is available with Japanese and Arabic coming). I will be posting other links this Fall about digital texts, but did not want to wait to share today's learning. There is a North Carolina focus, but educators from Indiana and Pennsylvania also attended. I am impressed at the online materials which North Carolina is making available -- if anyone knows of a similar effort in Illinois (or elsewhere), please note it in the comments section. Google....is the personal search result too personal? Do people even know that so many search results are personal? Amazon does the same thing with their recommendations. Can we make algorithms really do what those are supposed to do? Let's hope! Interesting look at Google and their new tools thoughts from readers of the blog. Introducing Google Instant: Panacea or Annoyance? Looking forward to trying the new Instant Search feature. Thankfully, the Google team allows you to turn off the feature if it becomes an annoyance. If you don't want to see results as you type, you can turn off Google Instant by clicking the link next to the search box on any search results page, or by visiting your Preferences page. However, for the novice searcher, prompting by a variety of keyword choices may be a good thing! Prezi Meeting Brings Collaboration to Web-based Presentations. 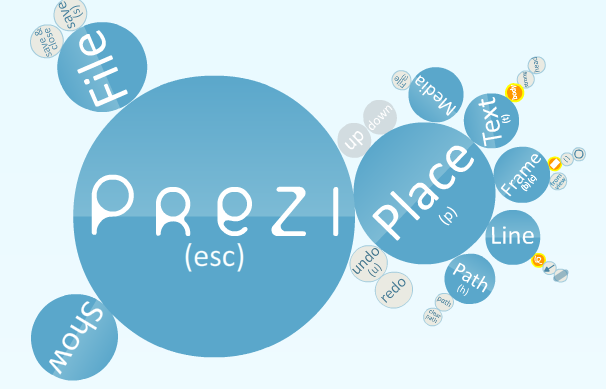 Like Google docs, real-time collaboration is now possible on the the Prezi platform. Once collaborators have been invited to work on a presentation, team members can update different parts of the project — pictures, text, images, videos, etc. — while watching collaborators add their own content to the presentation. Each participant is allowed a cute avatar while editing. This project, One Day on Earth, has endless possibilities for students, educators and lifelong learners -- to create, to share, to analyze and discuss. You can help "document the world's story" through this project whose developers describe its goals as "Students learn the applicable practices of observation, investigation, notation, and documentation of a subject through the One Day On Earth experience. They also gain understanding of participatory media as a vehicle for social justice, community building, civic literacy and global awareness." For more information on how to participate, toolkits, lesson plans,and FAQ's, check out the main page or this investigate this pdf. Lexipedia is a new online dictionary and thesaurus that visualizes your search. When you type in a word you are presented with related words in a graphical manner with a grid that highlights connections. It includes verbs, adverbs, synonyms and antonyms and “fuzzynyms”...apparently words with a fuzzy semantic relation. It seems like a useful tool for writing for students, especially those trying to work on college essays. This site is available in several languages... English, Spanish, French, Italian, German and Dutch. Since it's the Labor Day weekend, it seems appropriate to be writing about financial literacy. A few weeks ago, I blogged about Mint.com and today just read an article about new funding for EverFi which has been profiled on numerous media outlets. Their program is free and may be worth investigating for students interested in web-based interactive simulations. Here's another link to a lesson plan in which students can analyze labor force data and look at future projections and possible impact on their own job searches: The Labor Force: Past Present and Future. Developed by PBS, it contains video and audio excerpts, worksheets, and a detailed lesson plan. Do you get too much email? Priority Inbox helps you get through it faster by putting the most important mail at the top of your inbox. Teach for America turns 20 years old this year. Its' founder, Wendy Kopp, contributed a short piece on reasons for optimism in today's Wall Street Journal. "Wherever there is transformational change for children, whether at the classroom, school, or system level, there is transformational leadership. One of the biggest reasons for optimism, given the role we know effective leadership plays, is the outpouring of interest among our nation's future leaders to channel their energy toward this cause. This year, 46,000 young people applied to Teach For America; more than 4,500 will be teaching this fall. We are the top employer of graduating seniors at over 40 colleges and universities across the country, including Yale, Spelman and the University of North Carolina-Chapel Hill." Personally, I feel especially fortunate to know one the new teachers of whom Kopp writes and I am looking forward to "observing" and sharing in learning as she blogs about the experience this year. "7 places & ways to find copyright-friendly images". It's posted by Richard Byrne, at Free Technology for Teachers. 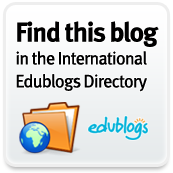 Both Judy Gressel and I have blogged about his work in the past -- it's a great source of information. In fact, he offers several free ebooks, such as How to do 11 Techy Things in the New School Year (58 pages on using tools such as blogs, wikis and Google docs). There's also a wiki on his site with resources for subjects such as foreign language, math, and science. And as the new school year begins, look at "Organizational tools for students"; we should perhaps add some of these to any future review of tools like Evernote.